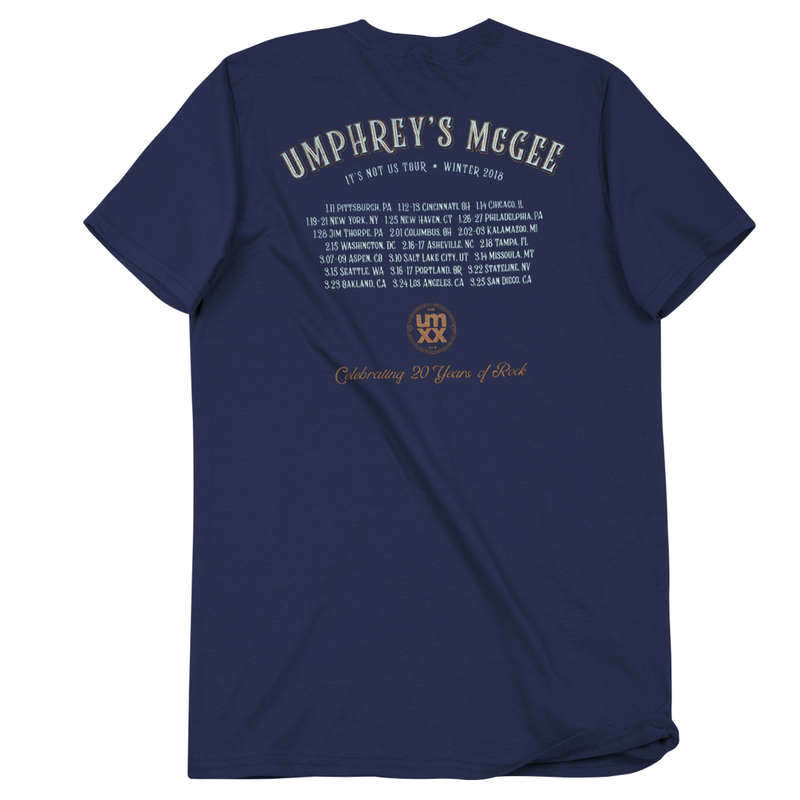 Umphrey's McGee kicked off 2018 with the debut of the band's new album it's not us. Kyle Baker of Baker Prints adapted his album artwork for a tour t-shirt including elements of art from the Deluxe edition. 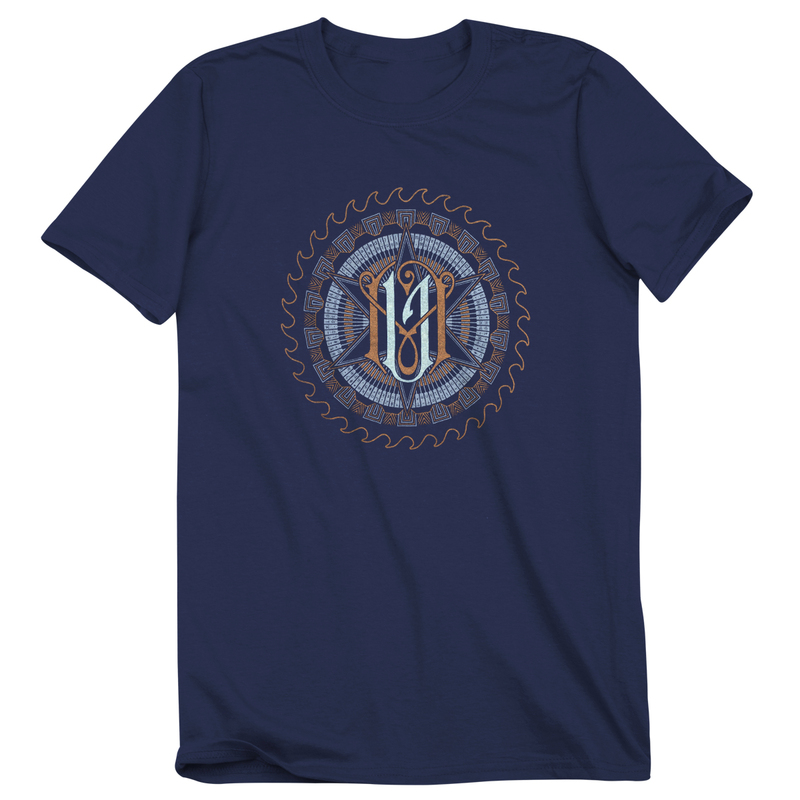 One of the more complex t-shirt designs we've ever offered, the artwork is layered with album elements including the it's not us track listing presented in radial form as shown on the CD face. 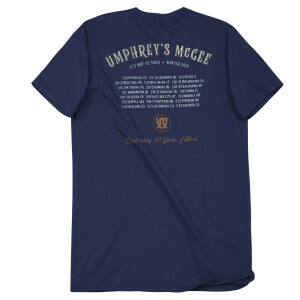 Complete with tour dates on the back, this t-shirt is wearable art and a collectable for any UM fan.